YOUR MISSION: COLLECT SPONSORS TO SUPPORT YOU AS YOU RUN TO RAISE MONEY FOR YOUR SCHOOL AND YOUR CLASSROOM! 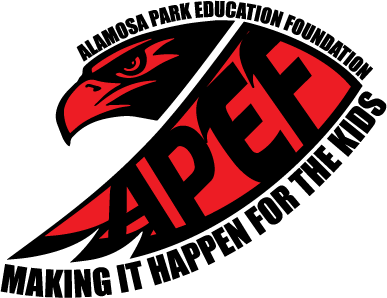 EACH LAP COUNTS AND EVERY CENT HELPS BRING ALL THE AMAZING TECHNOLOGY, MUSIC, ART, SCIENCE, AND FUN EXTRA'S TO ALAMOSA PARK ELEMENTARY! ON YOUR MARKS ~ GET SET ~ GO!!! The Hawk Run wouldn't be possible without all our awesome volunteers! Please click the sign up button, check out the list, and sign up if you can.